MORE GOOD NEWS – HMRC FINALLY SAY “YES”! Following a long wait since originally submitting our request for “Advance Assurance” to HMRC that 30% tax relief may be claimed by tax paying investors on their shares or loan stock for the purchase of the Cross Keys, we have just received their approval! This positive news means that, once the Cross Keys has been trading for four months, we can apply for the paperwork so all tax paying investors will be able to reclaim 30% of the sum they invested off their tax liability for the year. 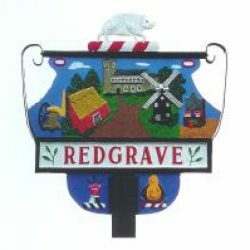 Nothing needs to be done at this stage: Redgrave Community Society Limited will issue investors with the relevant paperwork for submission to HMRC in due course.